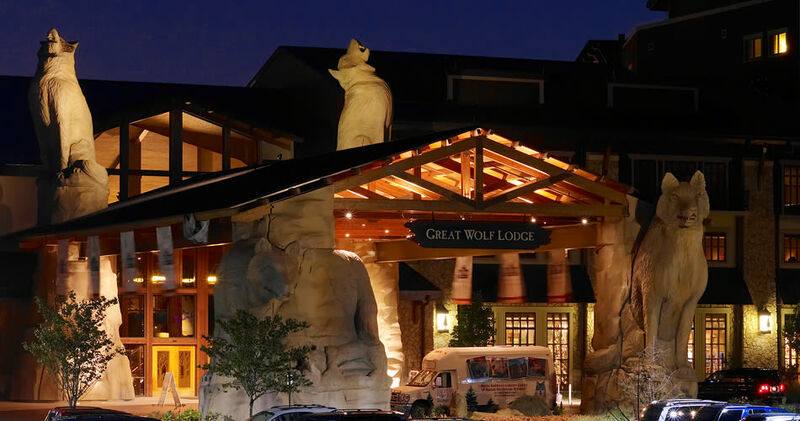 A known brand throughout the northern US, Great Wolf Resorts wanted to build it bigger and better in Texas. 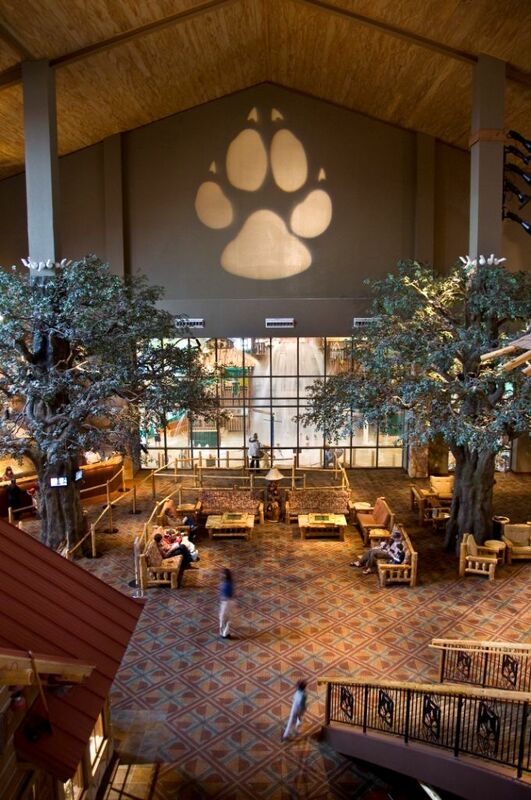 Whereas most of the other facilities were 3-4 story wood-frame construction, this facility was to be 9-stories and with a 60’ tall soaring entry lobby complete with tree-houses, trademark giant fireplace and huge windows overlooking the water park. 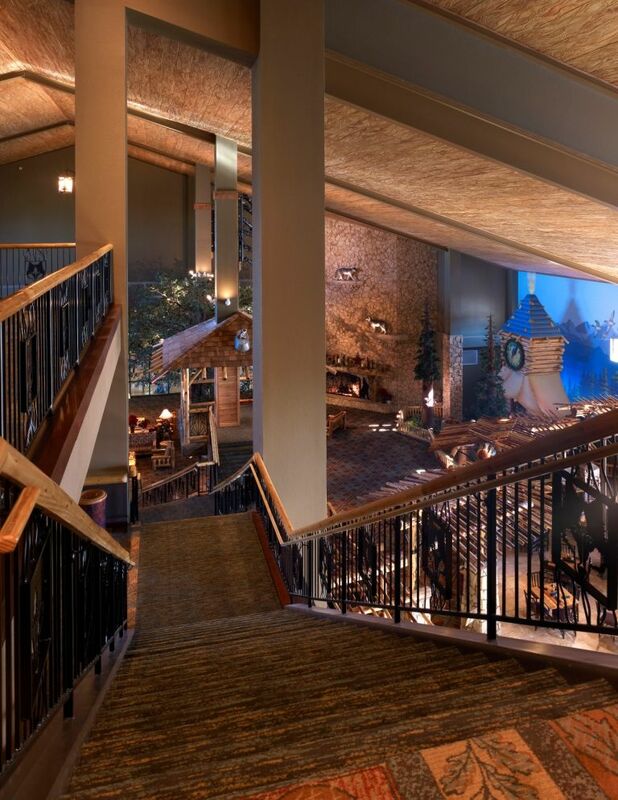 We felt it was important to not place any lighting up at the wood (simulated wood foam) ceiling and instead light the lobby from the various features in the space, creating a comfortable and inviting living room for the guests. 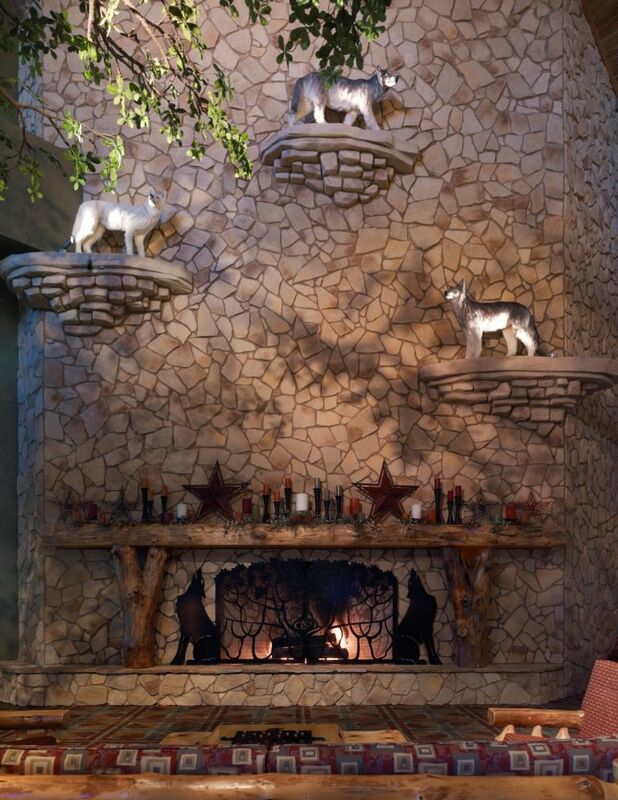 The fireplace is the gathering spot for the nightly wolf stories. Dappled light from tree-mounted accents and a few ledge mounted floods creates just the right mix of drama and intrigue. 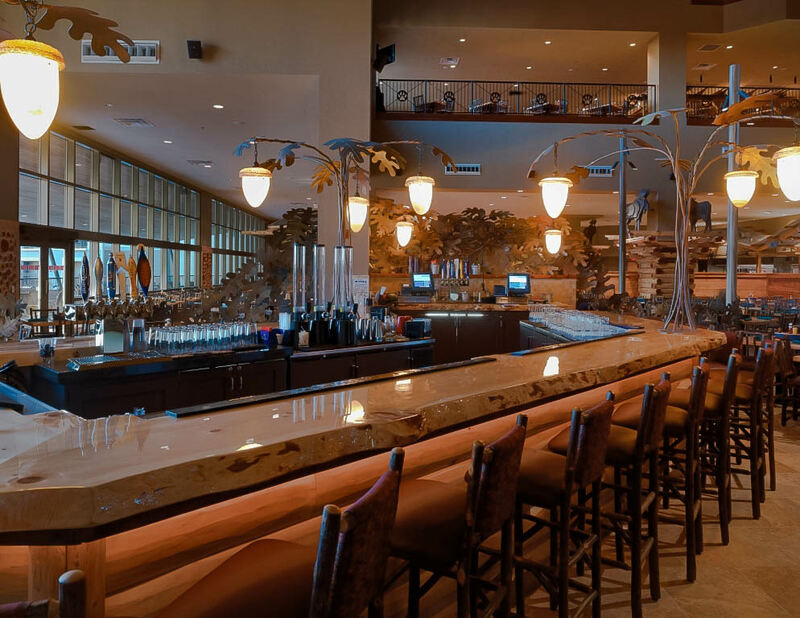 The bar glows with custom acorn sconces. 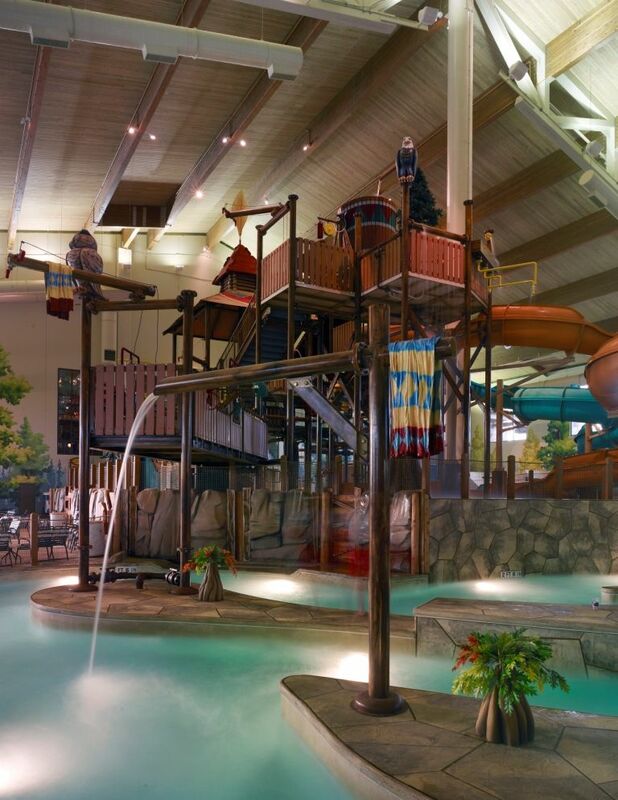 The water park was designed to have as much general lighting as possible come from indirect sources, with just a few accents to call attention to key water park features. This approach allows those floating in the lazy river or other pools to have a comfortable experience when looking up. It is also a good solution for lifeguards to be able to see deeper into the pools without the glare of reflected point sources. Accents are used mostly to highlight the trademark giant spill bucket as seen through the glazing from the lobby level above. Some lighting is carefully tucked under play platforms as well as a few in-ground uplights encourage children to discover more places to play, and importantly to ensure all wet areas are adequately illuminated.